Balkan Insight Croatia’s correspondent has been labeled an ‘enemy’ and ‘anti-state’ journalist on the TV show ‘Bujica’, which broadcasts on local TV channels in Croatia. Following the commemoration of Slobodan Praljak, the Bosnian Croat general who committed suicide in court after his war crimes sentence was upheld in The Hague, the Croatian TV show Bujica published a report on December 11 showing Sven Milekic, Croatia’s correspondent for BIRN’s flagship website and describing him as “enemy” and “anti-state” journalist. 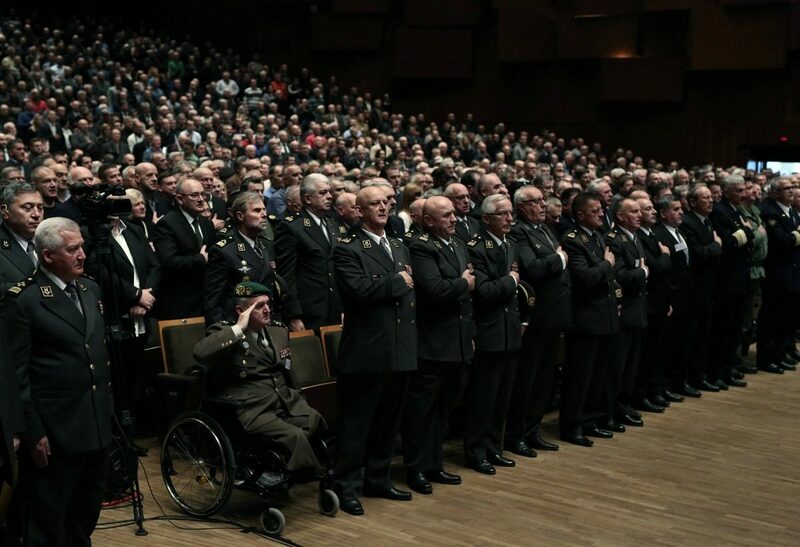 “The commemoration for The Hague’s prisoner and Croatian hero went off with dignity and without a single incident. It wasn’t spoiled even by shameless characters from enemy and anti-state portals, who for years, under the disguise of journalism, wage war against all the values of contemporary Croatia and our defenders [1990s war veterans],” the report stated, showing the BIRN reporter on a clip of footage. On December 11, 12 days after drinking poison in court, after the International Criminal Tribunal for former Yugoslavia, ICTY, upheld his sentence, Praljak was given a heroic farewell in Zagreb in the presence of two government ministers, many politicians from the 1990s, the nationalist singer Marko Perkovic Thompson and the far-right TV star, Velimir Bujanec, co-host of TV show Bujica. While passing by Bujanec, the anchor grabbed the BIRN reporter by the arm and said: “Security is looking for you”. He also called the security stating the journalist was ridiculing the whole event, and that he needed help “in taking him out of the hall without making a major scene”. The correspondent was let go after a brief conversation with security, and then filmed by a journalist and cameraman from Z1 television, asking him if he “worked for Index”. Bujica has also singled out reporters from Index, which angered right-wing audiences in Croatia with its critical reports of Praljak’s death and the ICTY verdict, receiving multiple death threats, which also prompted police to take action. Bujica has featured similar reports about other “hostile” journalists, activists and politicians before. On December 1, the far-right 1990s war commander, Ante Prkacin, said on the TV show that the former Croatian president, Stjepan Mesic, should be “publicly hanged” on Zagreb’s main square for his role in the ICTY verdict on Praljak. This is the second time far-right media have targeted Milekic. Four months ago after covering the Operation ‘Storm’ anniversary in August, a far-right news portal did a story on Milekic libeling him as an enemy. Following the article, Milekic received threats on Facebook, which he reported to the police. He received no further information on the case.